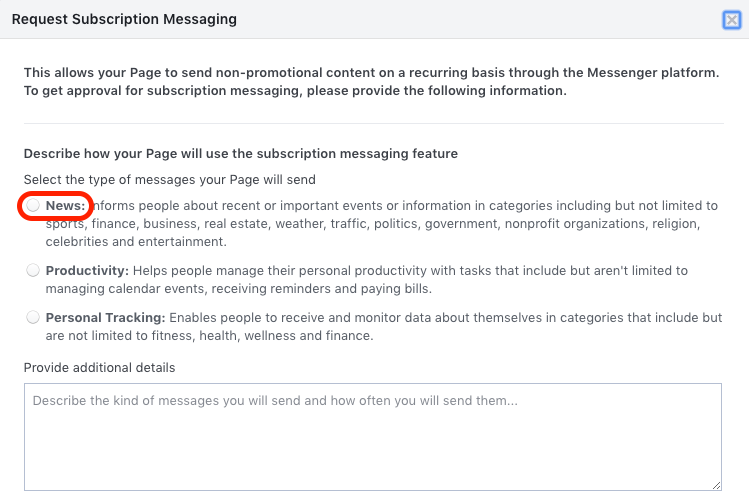 As of the release of Messenger Platform v2.3, permission to send subscription messages will be granted at the Page-level rather than at the app-level. All bots that send subscription messages must handle this transition by December 31, 2018. You can read more about this on the Facebook's page. Previously this was done by Recart on the app level. 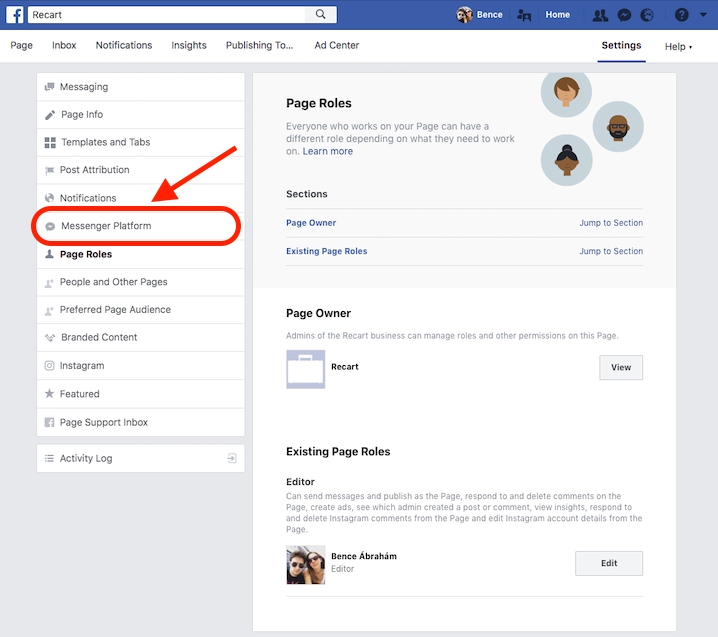 In short, rather than Recart’s subscription messaging permissions being applied to all users, now page owners have to request the permission for their individual Facebook page. 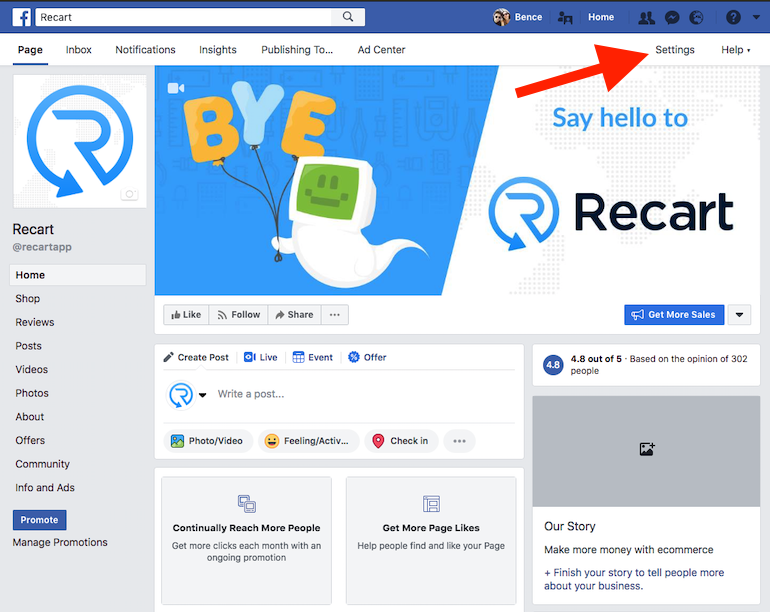 In order to be able to send Instant Messenger Campaigns with Recart from 1st of January 2019, all users need to have the Subscription Messaging permission for their connected Facebook page. In the Provide additional details section, describe the information and updates your chatbot provides, like blog updates, new tutorial release, etc. 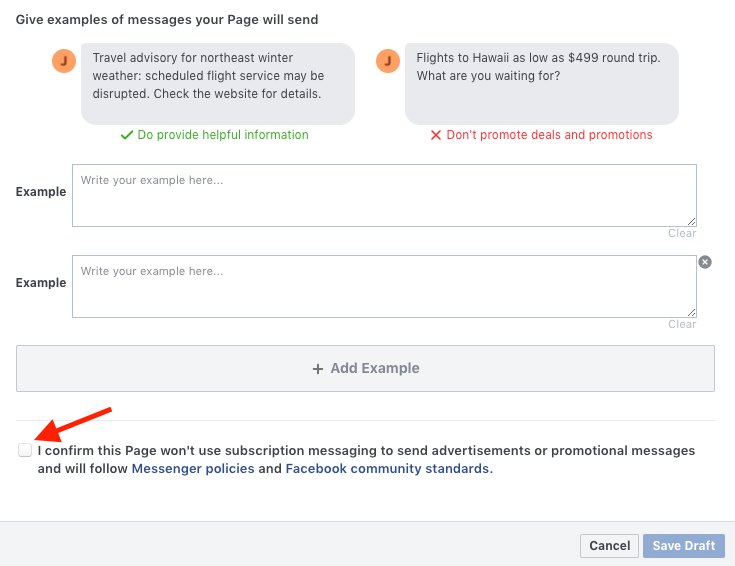 Accept the Messenger policies that you'll not send any promotional messages via subscription messaging. 1. "Scientists found new energy source for gadgets of the future. Click below to read our summary." 2. "How can you be more productive? Read this study to make a change today." 3. "Alert: The EU GDPR regulation is effective from 25th of May, 2018." 4. "Interested in how the brain selects what to learn? So were we, so we ran a study to learn more." 5. "We have a new blog post, you might be interested in." 6. "We've just published an updated HOW TO GUIDE for our most popular products." The application is simple, it requires just a couple of minutes. It's a manual review process so the approval time varies. You can get information about the status of your application only from Facebook as Recart doesn't get any information about this. Always appeal the decision in case the application gets rejected.